LOS ANGELES — Musical. Romance. Epic history. Social drama. Christmas comedy. After years of complaint and self-criticism about the shortage of prominent movies by and about black Americans, film companies are poised to release an extraordinary cluster of them across an array of genres in the last five months of 2013. At least 10 new films will be released, including several awards contenders, from both independent and major distributors, like the Weinstein Company, Fox Searchlight and Universal Pictures. Even some of those who made this year’s movies have been caught by surprise. “You tell me!” said the director and screenwriter Lee Daniels, when asked how so many black-driven films had materialized at once. His historical drama “The Butler” — based on a real-life White House butler who served eight presidents — is to be released by Weinstein on Aug. 16. “I’m working in my own bubble, I come up for air, and there they are,” Mr. Daniels said. In addition, a cohort of black cultural figures, including directors, actors, writers and playwrights, has fostered a shared spirit that has sustained black filmmakers, even when studios were paying less attention. “I would have to liken this to the Harlem Renaissance,” said David E. Talbert, who wrote and directed “Baggage Claim,” a romance that is based on his novel of the same title and will be released in September. Mr. Talbert, also a playwright, compared the support system among black filmmakers to the time when black musicians and writers buoyed one another in the early 20th century. The 2013 releases are also notable for their range. 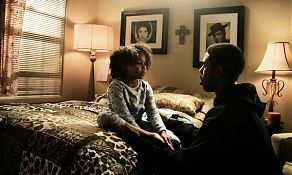 While black-themed films have never disappeared, the interest of distributors has waned when the movies stuck to more singular genres like urban dramas, about, say, the problems of a drug culture or family dysfunction. Now there is a varied mix that has some filmmakers talking about a cultural rebirth. “It’s what I always wished for,” said Kasi Lemmons, who directed “Black Nativity,” a musical with a libretto by Langston Hughes, scheduled for release in November. “I always thought it would be an indicator of success, when we had a full spectrum of films,” Ms. Lemmons added. Over all, movies that feature a predominantly black cast in a specifically African-American story have been caught in a squeeze between foreign markets, where those films often come up short, and demographic pressures at home. This year the Motion Picture Association of America in its annual statistical survey said that African-Americans, who make up about 12 percent of the population, account for about 11 percent of North American movie ticket sales. By contrast, the association noted, Hispanics, who make up 17 percent of the population, account for 26 percent. “The Help,” released in 2011, which had a white director, Tate Taylor, and both black and white stars, nonetheless turned an African-American story about black maids in the Jim Crow era into a summer blockbuster. It joined successes like “Think Like a Man,” “Jumping the Broom” and a string of Tyler Perry films to give executives new confidence in the potential of movies built around black themes. But executives are also discovering, or rediscovering, filmmakers who have attracted notice, and some awards, with small, independent films. “The conversation within the black film community is about this new energy that was jump-started by the indie movement,” said Ms. DuVernay, who in 2011 started the African-American Film Festival Releasing Movement to issue black-made films that were being overlooked by commercial distributors. She said fresh studio attention to indie-bred filmmakers recalls an earlier era, when Spike Lee, with “She’s Gotta Have It,” and Reginald and Warrington Hudlin, with “House Party,” parlayed outsider hits into studio careers. 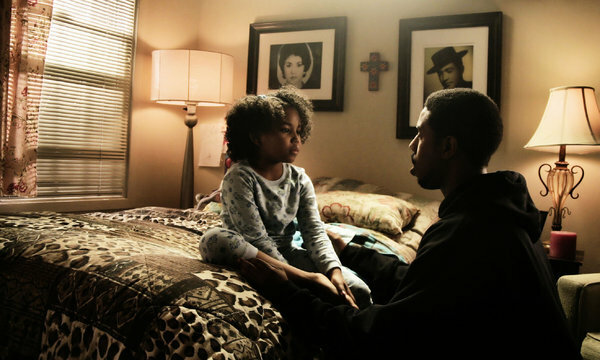 In this year’s crop, several films have independent roots: “Big Words,” directed by Neil Drumming and released by Ms. DuVernay’s company, about the members of a once-hot hip-hop group confronting midlife, and both “Fruitvale Station” and “Mother of George,” a pair of Sundance darlings rooted in urban black experience. Still, Mr. Daniels said, it is the sudden presence of other black directors that has him feeling less isolated.